Since graduating from dental school in 1997, Dr Ziba Shirazi has been providing comprehensive dental care in a kind, caring and gentle way to patients of all ages. 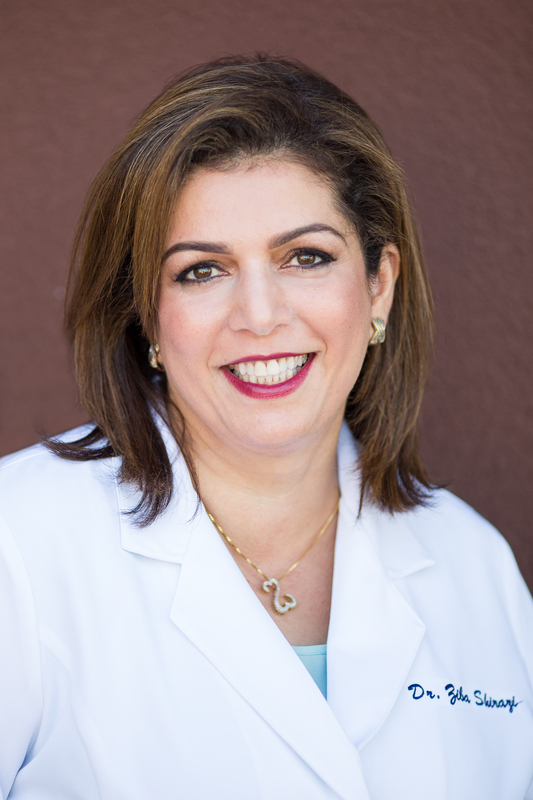 Prior to relocating to San Diego in 2014 with her husband and 2 children, Dr. Shirazi owned a successful dental practice in Boston for 8 years. She was known and trusted by her patients and the community for her quality comprehensive dental care, provided in a calm and gentle manner. They were sad to see her go, but she is excited to be here and is a perfect fit for Twin Peaks Dentistry. Dr. Shirazi excels in all phases of dentistry. She is a preferred provider for Invisalign, creating beautiful smiles for adults who never thought they could straighten teeth without metal braces. She continues to further her knowledge in dentistry by taking advanced courses on implants, root canals, and cosmetic dentistry. When she is not in the office she enjoys spending time with her family, cooking, playing the piano and hiking around the many beautiful San Diego trails.